The kind of pain that we all have to endure at some point in our lives but we all hope we never have to endure. The pain of broken relationships. The pain of hard situations and circumstances that t-bone you when you least expect it. Painful situations don’t seem like they have possibility. But they do. Sometimes God allows pain into our lives to change and shape us. That is such a difficult lesson – and one that often will take us years to understand and process. In the meantime, we can take a look at King David – the man after God’s own heart. He had a lot going for him – he was a king chosen by God himself. But he suffered greatly, and his pain was so overwhelming for him. Let’s look at the beginning – before he even assumed the throne – he was working for King Saul, who became so jealous of David that he wanted to kill him. Numerous times he fled for his life. He spent many years on the run from Saul. But God used that time in his life to change and shape him – it was in those times that he wrote many psalms and songs that we still read today. Fast forward to the New Testament and we see another Saul – also called Paul – who suffers much pain in his ministry. This is the one who had spent time chasing down and arresting Christians who was vehemently opposed to the gospel of Jesus. Until he had his own encounter and literally saw the light. After that it was his life’s mission to bring the news of the life and resurrection of Jesus to everyone he saw – both Jews and Gentiles. This made some Roman officials very angry, as some Jews didn’t believe that Jesus was the Messiah. Numerous times Paul was arrested and jailed and put on trial for living out his life assignment from God. At one point, he was arrested for doing nothing other than performing a Jewish ritual in the temple. The Jewish leaders had been trying to catch him for so long they leapt at the chance, after which they had nothing to accuse him of – at least not anything that would stick – and he was passed from official to official to official until he was finally set free. This lengthy process allowed him time to write the many letters to the surrounding churches to encourage and guide them – what we now know as the Epistles. Pain has possibility. In the deepest, darkest and most painful situations. When we just can’t handle the pain for one more moment – it happens. 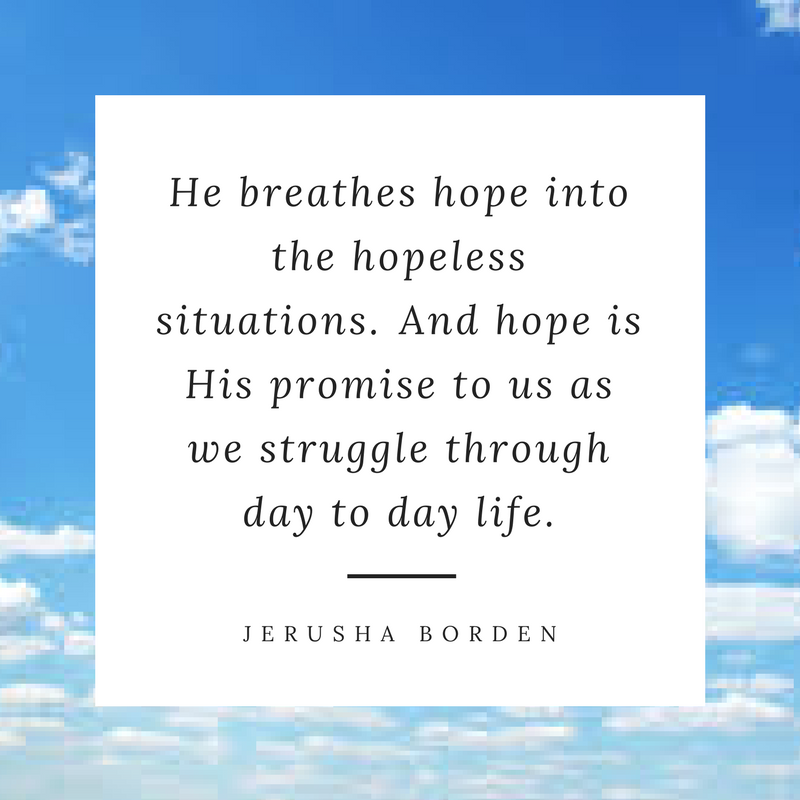 He breathes hope into the hopeless situations. It may be just a little whisper. It might be just a spark of encouragement. It may be something grand. But it is hope just the same. And hope is His promise to us as we struggle through day to day life. Hope is His promise to us as we face the painful situations in our life. Even through the painful situations, we can see hope through Christ. He breathes hope into our lives, and even through the pain, we are transformed. Pain has possibility. It can even be a gift that we are grateful for. I never thought there would come a day where I would stand there and confess in my heart that I was grateful for this debilitating disease. But here I am, saying it. I am thankful, grateful and hope infused for this pain, if it would be this that He would use to someone point others to Him, whether it be by my life or my words. 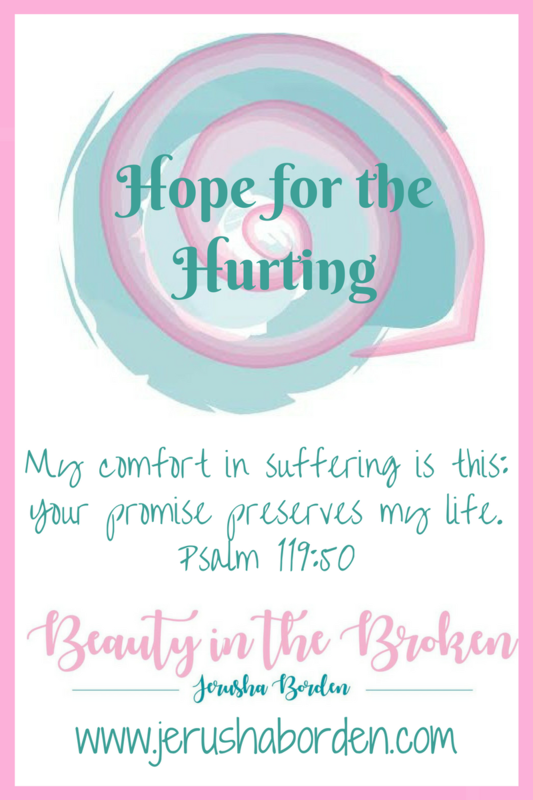 So whatever pain you are experiencing, be it emotional pain, physical pain, spiritual pain, or all of the above, it is my prayer that He will breathe hope into your hopeless situations today. Because His hope stands forever, long after our painful situations have passed away.